This addon is designed to work in tandem with the core commerce product block, to show your customers other products that they might be interested in, and therefore boost sales. Version 2 supports Magic Data Commerce. the addon searches the attributes of the product and looks for other products that have the same attribute value. Those that match are show to the user. products sharing the same set(s) as the given product. 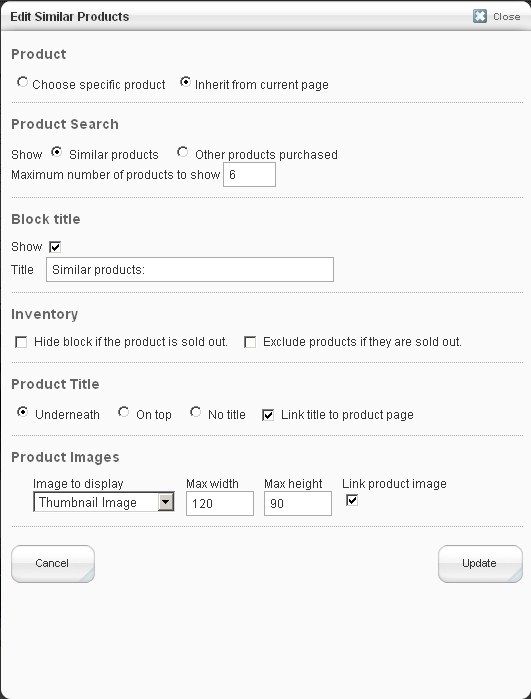 This is similar to the capabilities of the product list block, but by contrast does not show the given product. as above, but products sharing at least one set as the given product. When looking for products that were purchased along with the one that the customer is viewing, the 100 most recent orders that included the product and that are in the authorised state are retrieved. Every other product on those orders is then retrieved and they are ordered by the frequency with which they occur, thereby finding the most popular products. For example, if the customer is looking at a digital camera, it might be that other customers bought batteries and a bigger memory card as well. 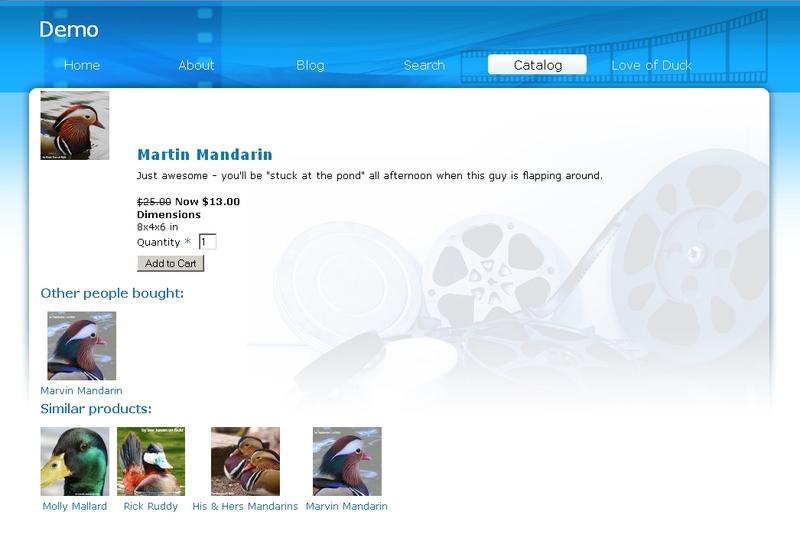 The block would then show thumbnails of those products with links to their product pages. A product is considered similar if it has one of three possible attributes (handles "similar1", "similar2", "similar3") set to the same value. These product attributes are select lists, so you can add as many values to these as you like. The installer will create these attributes and assign three "example" values to each one, to get you going. For each product that you consider similar, you set the same attribute to the same value. E.g. all products with attribute "similar1" set to "Blue" will be considered similar. You could also set attribute "similar2" to "Widget", and other products with attribute "similar2" set to "Widget" would be included. So for example, if your product was a large, blue widget, you might set your three attributes to large, blue and widget, and then any other products you consider to be a similar size would also be set to large. Other blue products would have the blue attribute set and other widgets would have the Widget attribute set. It's not neccesary to set all three attributes, just one will suffice. For the given product, the set or sets that the product belongs to are found. All other products that are in those sets are then found and the first few (as specified by the block setup) are shown. The "one set" option performs as above, but is less strict and only requires a product to be a member of one of the sets of the given product, rather than all of them. With Magic Data you can now provide analysis from Similar & Recently Purchased Products absolutely anywhere on your site.